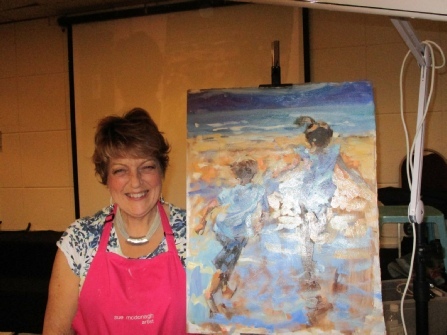 The Society were pleased to welcome long-time friend Sue to our meeting last evening, where she demonstrated how to achieve a painting with a dramatic 'wow!' Factor. 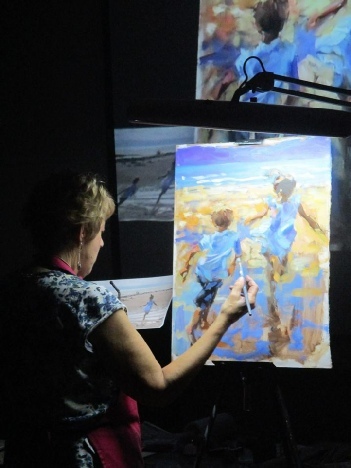 Sue shared with the members how she composes, plans and executes a lively, energy filled painting, from the under-painted 'sketch' to the finished piece, Sue explained all the stages, and shared her choice of mediums, brushes, colour and paint, all the time peppering her commentary with anecdotes and insight. 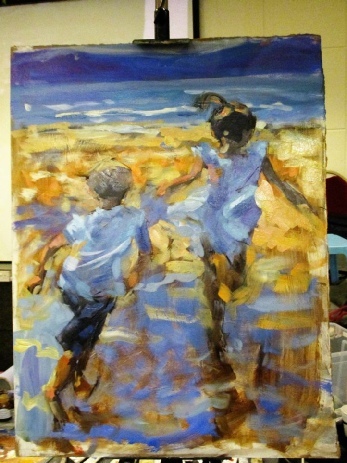 The finished painting was a feast for the eyes - energetic, colourful and exuberant. 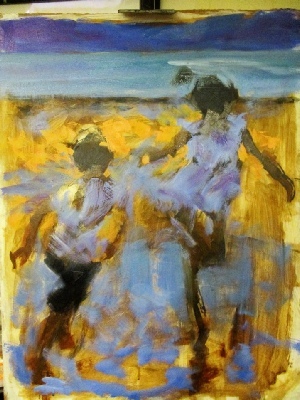 The children's' joy and unbounded energy bounced off the canvas. The Society extends a heartfelt 'thank you' to Sue for treating us to a wonderful evening of art. We also send congratulations for securing a publisher for her novels... a talented lady indeed! !